To enable a seamless trading experience, we help you deposit supported fiat currency into your Zebpay wallet and withdraw the same at any time. 1. On the home screen, select Deposit and then Bank Deposit. 2. Enter the amount to be deposited into your Zebpay account. 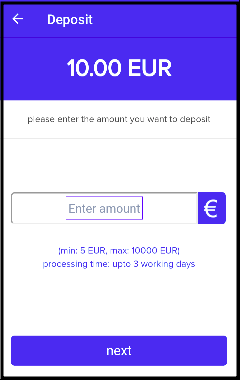 After entering the amount, our bank details into which you need to make the deposit will auto-populate. 3. 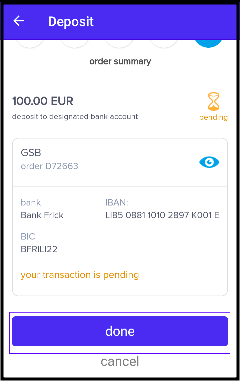 Only your bank account which is registered with Zebpay can be used for transactions. 5. 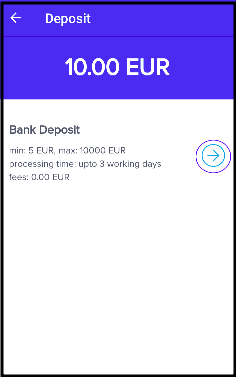 Once you create the deposit order, initiate a deposit for the same amount to your Zebpay account. 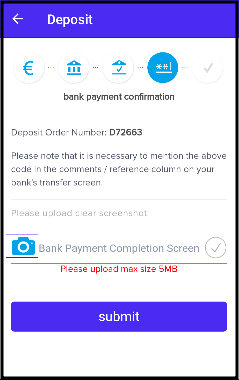 Please add the deposit order number as the reference number with your bank while filling in the deposit details on your bank's page. 6. You will get confirmation from your bank after the transfer is done. (This can be a bank statement or a screenshot of your online or mobile banking). 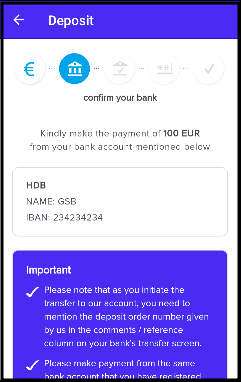 You'll need to upload the proof of the deposit in the Zebpay app under the Bank Payment Completion Screen and then select Submit. (Maximum file size is 5 MB). 7. 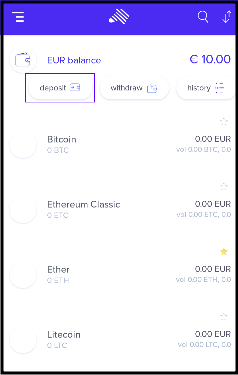 Once this is done, you will be able to view a summary of the deposit order and its status. 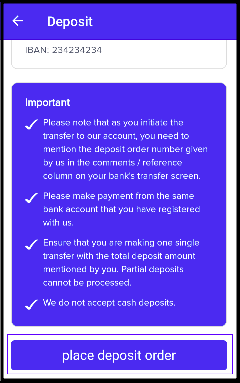 When you initiate the transfer to our account, you need to mention the deposit order number given by us in the comments/reference column on your bank's transfer screen. Make the payment from the same bank account that you have registered with us. Ensure that the beneficiary name is Awlencan Innovations Malta Limited. Ensure that you are making a single transfer with the total deposit amount mentioned by you. Partial deposits cannot be processed. Do not use any other or third party bank account for transfers. All such transactions will be returned by us and it could take up to 4 weeks to process these refunds. We do not accept cash deposits.